Today, I decided that soup was a perfect lunch choice. The following recipe was adapted from "The Complete Idiot's Guide to Eating Raw". 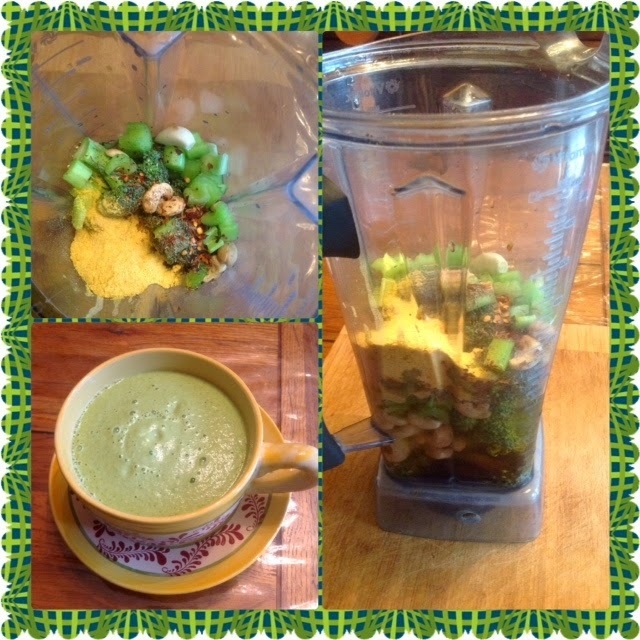 Putting all of the ingredients in the Vitamix, I blended for about one minute. Water can be added to reach desired consistency. The recipe states that cauliflower may be used in the place of broccoli for a creamier soup. May be served warm from the blender or at room temperature. It says this makes 6 cups but mine did not. I did not add any extra water so it made a little under 3 cups. I ate half and will save the other half for later. I really enjoyed the spicy flavor. In blender, combine all ingredients. Keep refrigerated for up to 2 weeks. Follow recipe above and then add 2 tbsp cacao nibs for 100% raw. (Cacao does contain caffeine. I use the cacao powder, rather than the nibs.) 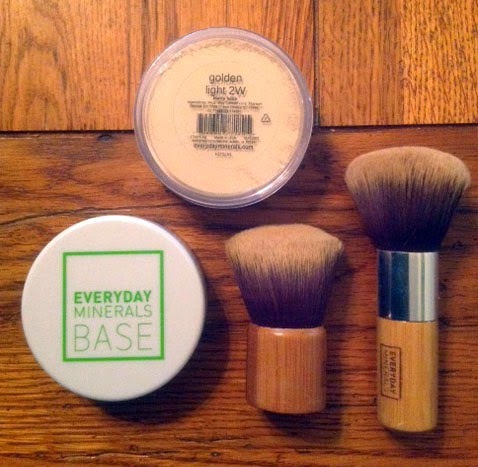 Blend all ingredients. I'm posting this recipe because I had fallen into buying convenience items such as Blue Diamond unsweetened Almond Milk. There is nothing wrong with that but my goal for 2015 is to return to more of my "raw" vegan diet. In years past, I ate about 90% raw. Over the last several years I have added many of the new vegan foods and snacks into my diet. I've also added pounds and new blood pressure meds. So, for 2015, my goal is to eat more raw vegan, a little more each week. In the past, I made almond milk with the nut bag. These seems much easier and if you are on a busy schedule, consider adding this recipe for Hemp Milk. If you have a different recipe, I'd love to hear about it. Have a great week! Heat oven to 400 degrees. Grease an 8 inch pan for thicker cornbread or use a 9 by 13 inch pan for thin cornbread. Stir all dry ingredients together, then make a little hole in the dry ingredients and add the liquid ingredients. Stir until all ingredients are moist. Bake 25 minutes or until cornbread is light golden brown and a toothpick goes in and is removed clean. Great warm, right out of the oven! This morning, I made waffles using Isa Chandra Moskowitz's Perfect Pancakes (which is in her book Vegan Brunch) with my grandson. They were the best waffles I've had in a long, long time. He was so proud of his creation and even though he is a picky eater, these were gone in a flash. I mixed all of the dry ingredients, then added all of the liquid ingredients in the middle and stirred until most of the lumps were gone. (Isa noted that "a few lumps in the batter are just fine.") I used an electric waffle iron and the batter was thin because in Isa's recipe you have the choice of using 1 to 1 and 1/4 cup rice or soy milk. I wanted the waffles to be light so I used the higher amount and they were a huge success. If you love these waffles as much as I do, I would suggest you buy at least one of Isa's cookbooks right away. They are fabulous and you can never go wrong with her recipes!! Vegan for Life - Great book choice! I have been a vegan for a while now and recently visited my doctor's office for blood work. I was pleased to hear that all of my many tested levels fell into the "normal" range. At sixty years young, I was very pleased and I attribute this to my vegan diet because prior to being vegan, I had higher cholesterol and sugar levels... among other things. So, feeling happy with my health and wanting to make sure I keep it that way, I decided to purchase a vegan nutritional book. I am extremely pleased with my purchase so I wanted to share the book with you. It is titled: Vegan For Life. Just to share a few tidbits of information from the book, the nutritionists Jack Norris and Virginia Messina, reminded me that peanuts are legumes and have more in common with foods like beans, peas, lentils, and soy foods, than nuts. 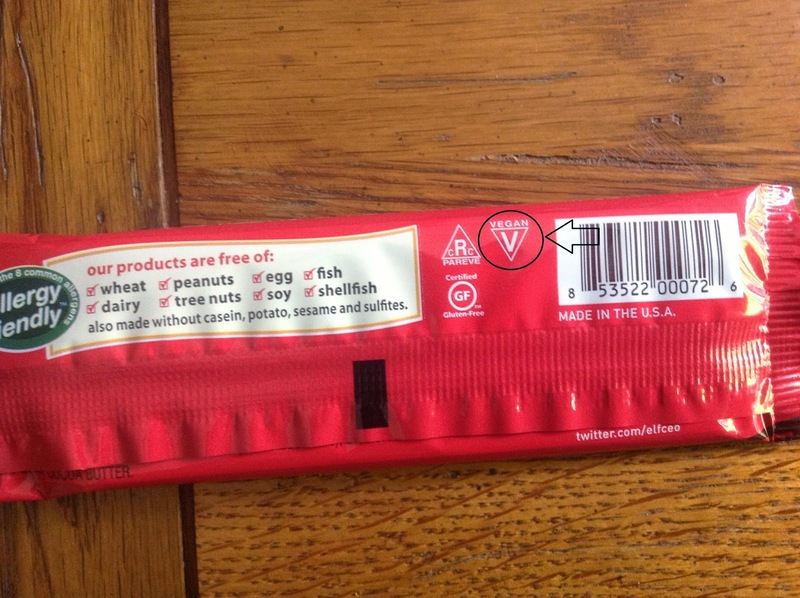 They are botanically legumes. As I was reading the book it suggested that you have 3 to 4 servings of legumes to meet your protein goal and it reminded me that 2 tsp of peanut butter would fit the bill for at least one serving. Of course, this was a tiny bit of information out of the entire book but another great guide was a protein content chart with selected vegan foods to guide your day. These two authors spoke of being appauled at the discovery of factory farming beginning in the fifties which guided their life into being vegan. If you would like to read a few reviews or sample from this book, click on the link above for a sneak peak. 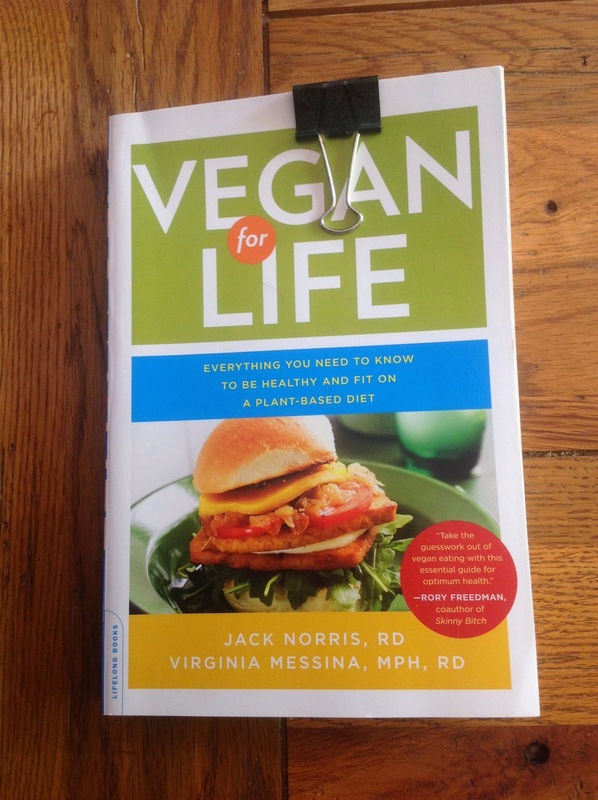 It will be a great reference book to have on your vegan book shelf. Great find! Today, I'm going to share more vegan grocery items that appeal to your sweet and salty taste buds. 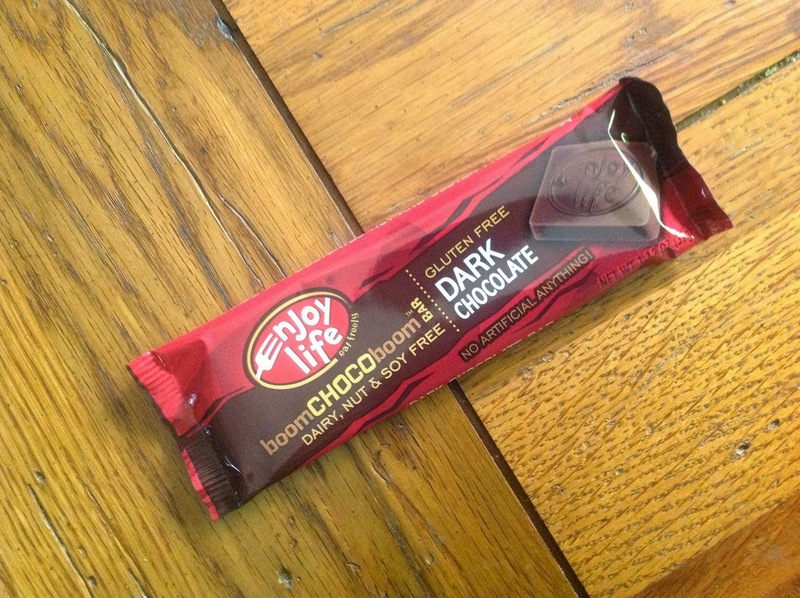 The Enjoy Life dark chocolate boomCHOCOboom is a great chocolate bar. It is also gluten free. They had three different flavors; I purchased the dark chocolate. Usually, I purchase the Endangered Species chocolate and have a few of those on hand, however, this week I found this new bar and it was delicious.... so I thought I would share it with you as my "sweet" for today. 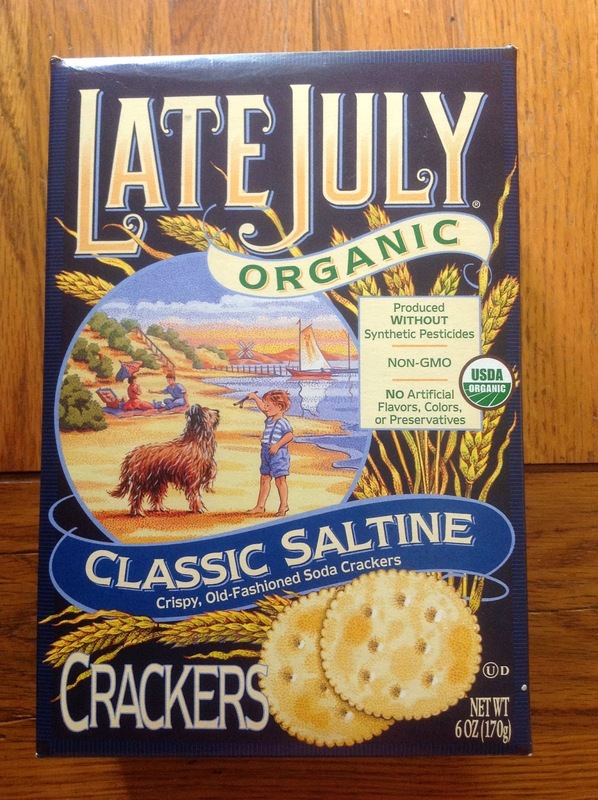 Under the "salty" category, I found and tried Late July's Classic Saltine. It is exactly as the title states and reminds you of the old fashion saltines I grew up eating, as a kid. They are crisp and tasty with a little sea salt for flavor. I ate mine with a little garlic and jalapeno pepper vegan (cheese) spread. So good!! Both of these items I found in my local Publix grocery store. Yummy! If you have not tried either one, you may want to swing by and pick up your sweet and salty for this week, vegan style.